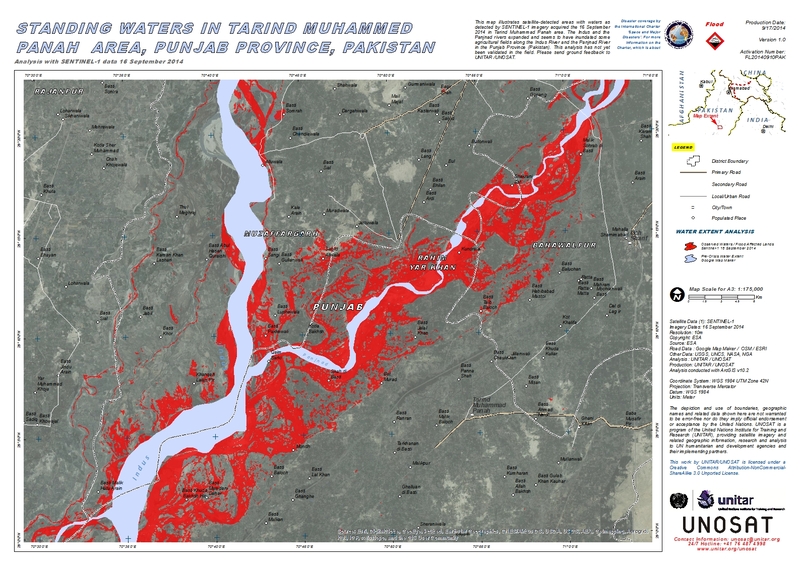 This map illustrates satellite-detected areas with waters as detected by SENTINEL-1 imagery acquired the 16 September 2014 in Tarind Muhammad Panah area. The Indus and the Panjnad rivers expanded and seem to have inundated some agricultural fields along the Indus River and the Panjnad River in the Punjab Province (Pakistan). This analysis has not yet been validated in the field. Please send ground feedback to UNITAR /UNOSAT.